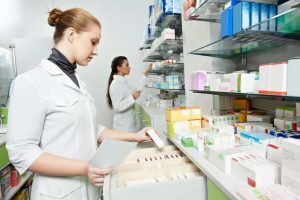 The risks that employees bring to Pharmacies is obvious. Access to prescription drugs can cause a real problem for the Pharmacy owner. The temptation to under count prescription refills, the allure of the money or just providing drugs illicitly to "friends" is difficult to refuse for some people. The Pharmacy owner's best risk management tool is the careful selection and screening of employees. By using a quality pre-employment screening background check that properly screens applicants and employees, you can take the best first step needed to mitigate the risk of hiring employees whose past indicates a propensity for criminal activity such as theft, fraud, embezzlement or substance abuse. Know who you are really hiring and hire the best and most productive employees. Of course, a pre-employment drug screen is also needed. The above-listed risks can be minimized by following a two-step employee screening process, consisting of (1) a criminal background check and (2) a drug test. Instant driving records are available for screening those applicants that might also possibly drive on behalf of the Pharmacy.